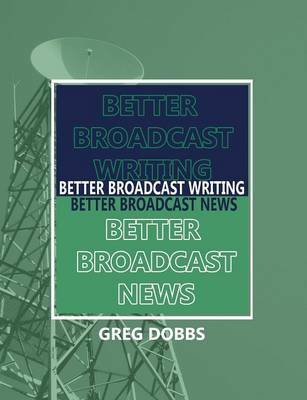 Better Broadcast Writing, Better Broadcast News teaches students how to write with the conversational simplicity required for radio and TV. This text draws on the Emmy Award-winning author's decades of professional experience in broadcast journalism. In addition to writing, the text also discusses the other elements that make up a good story--producing, reporting, shooting, editing, and ethics. The author's real-world perspective conveys the excitement of a career in journalism.